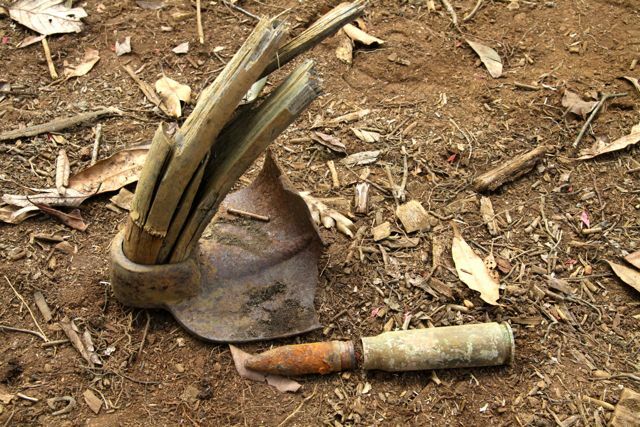 Twelve-year-old girl killed in garden by ordnance so old that it was dropped before her parents were born. On August 30 last year, I was spending a quiet day at home in Wisconsin. That Saturday was the first day of an exceptionally early Labor Day weekend, and my wife and I were feeling jet lagged; we’d just flown home from Taiwan the previous day. The long weekend meant that any gainfully employed friend or relative who relished a visit with us had time off to come our way while we lazed about on our own turf. Laze. Lazy. Lackadaisical. I was road-weary and not much inclined to let any hobby, occupation, or family obligation put me in harness. Half a world away in Laos, in Dak Cheung District on August 30, twelve-year-old Sunsamay rose early. As she did on most Saturdays, Sunsamay accompanied her mother to her family’s coffee garden. There she worked alongside her mother, weeding around tender coffee seedlings — tiny, immature trees that would five years hence, if nurtured, yield an abundant harvest of blood-red coffee cherries and provide Sunsamay’s family with something they’ve never experienced: a cash crop to sell at market. At dusk that Saturday, dawn for me in Wisconsin, Sunsamay lay dead on the edge of her family’s garden, the victim of an accident with Vietnam-era ordnance that our team of de-miners might have destroyed last year, or the year before, if only Sunsamay’s farm had been on our work list. 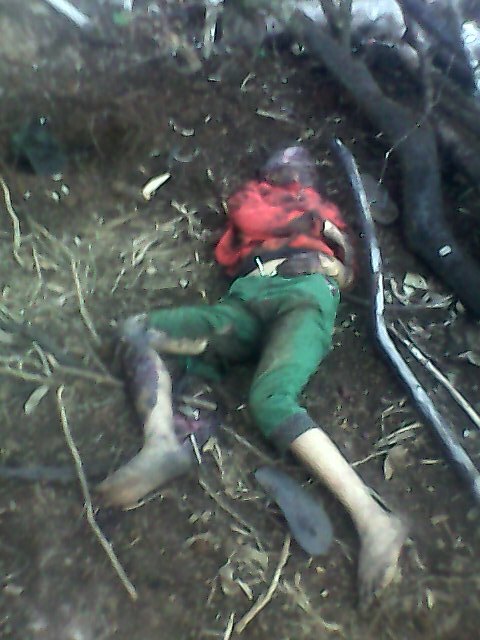 Sunsamay, age twelve, died on the edge of her family’s coffee garden, victim of ordnance more than forty years old. It was her family’s misfortune that they didn’t make the cut last year; forty-six other families did. It was Sunsamay’s personal misfortune that she happened upon a piece of ordnance that had waited forty years to perform its deadly function; there are few killers more patient than unexploded ordnance (UXO). It’s my burden that, while my staying power depends on the conviction that we save lives, I must now live with the reality that we can never, ever, do enough. This is the fourth dry season in a row that We Help War Victims has conducted clearance of UXO in Dak Cheung District. The job here, as in vast regions throughout Laos, will never be completed in my lifetime — nor, in my grandchildren’s lifetime. On average, every other day, someplace in Laos old ordnance explodes, often claiming new victims. 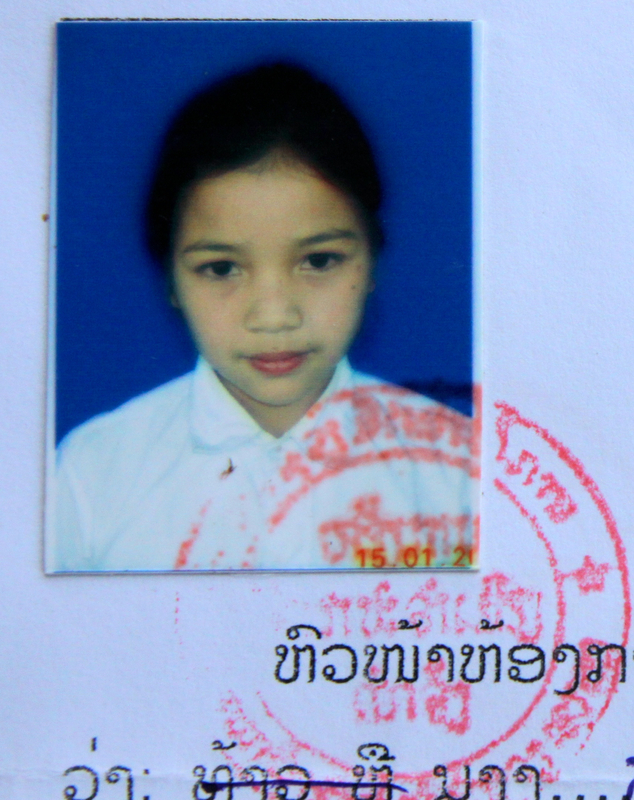 Since fighting ceased in Laos forty years ago, over 20,000 Lao civilians have been casualties of old ordnance; 40% of those victims have been children, like Sunsamay. There are nearly ten thousand villages in Laos; twenty-five per cent are blighted with UXO. Lao authorities calculate that in a typical year, humanitarian organizations and commercial companies clear ordnance from approximately six square kilometers of land; there remain over 30,000 square kilometers in need of clearance. Each year, I return home proud of our efforts, but saddened that we must leave so many villagers still at risk from bombs, mines, rockets, mortars, artillery shells, hand grenades and other explosive remnants of war. When I heard that Sunsamay’s accident involved a hoe in a garden, I assumed that the accident fit an all-too-familiar pattern. I speculated that the girl had fallen victim to one of the 70 million tennis ball-sized cluster bomblets that still litter the Lao countryside. (We find clusters in forest and field, in gardens, in pastures, along roads and walking trails — we’ve even found them inside dirt-floor schools). Lao villagers commonly work the soil by swinging a heavy steel hoe overhead. If the hoe strikes a cluster bomblet, the bomblet, which might have withstood a gentler disturbance (a footfall for instance), will explode—propelling hundreds of bomb fragments in a deadly arc. I was wrong. Sunsamay didn’t strike a cluster bomblet, and what she did strike, she barely tapped. She was tired at the end of day, and as she walked from the garden toward her mother’s motorbike, she used her long-handled hoe as a walking stick. With an underhand motion, she would swing the hoe forward and let the steel head drop — thump — onto the ground before her. Then she would walk to the steel head, walk beyond it, reach the end of the handle, lift the head, give it another underhand swing, and watch it drop. Likely, Sunsamay never heard the clink of her steel hoe on the metal ordnance. Her fate was sealed in milliseconds, when steel fragments—maybe from the hoe, maybe from the ordnance— struck her forehead, pierced her skull, and destroyed her brain. Grainy cell phone photos taken at the site show that her body dropped like a discarded rag doll. A lady walking beside Sunsamay when the blast occurred presumes that the girl was unconscious when she hit the ground; Sunsamay passed from life without sound or movement, but for a single fleeting tremor. Had Sunsamay hit a cluster bomblet, a rocket, a mortar or a hand grenade, certainly the four women walking within three or four meters of her would have been maimed or killed. Clusters have an effective killing zone of thirty meters; I know of victims killed 100 meters from the blast. As it transpired, not one other person in Sunsamay’s party suffered so much as a bruise, burn, cut or abrasion. Given the known details of the accident it is likely that the girl hit a 20mm shell with her hoe. 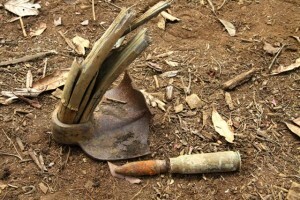 Her hoe is shown here with one of several 20mm rounds found in the garden. Almost certainly, Sunsamay’s hoe lightly struck the head of a 20mm shell, triggering the impact fuse in its tip, which in turn detonated the high explosive inside the warhead. A 20mm round, hitting a jeep, will pierce the vehicle’s hood and wreck its engine. A little girl? I hope her parents take comfort in the certainty that Sunsamay never knew what hit her and didn’t suffer pain. I met with Sunsamay’s parents this week; they walked their garden with me, and with great poise, shared details of the last day of their daughter’s life. It was their first day back since the accident five months earlier. Their garden is weedy, and the coffee seedlings are suffering from neglect, but no one — not mother, father, siblings, friends or extended family — has been willing to step foot in the garden since that horrible Saturday. But — to help me understand — they entered the garden, kneeled at the accident site, and relived the event, sharing every detail that came to mind. With grace, they did this for me because I told them I wanted to share their daughter’s story with the world. I can only hope they are correct in believing that the world will care.